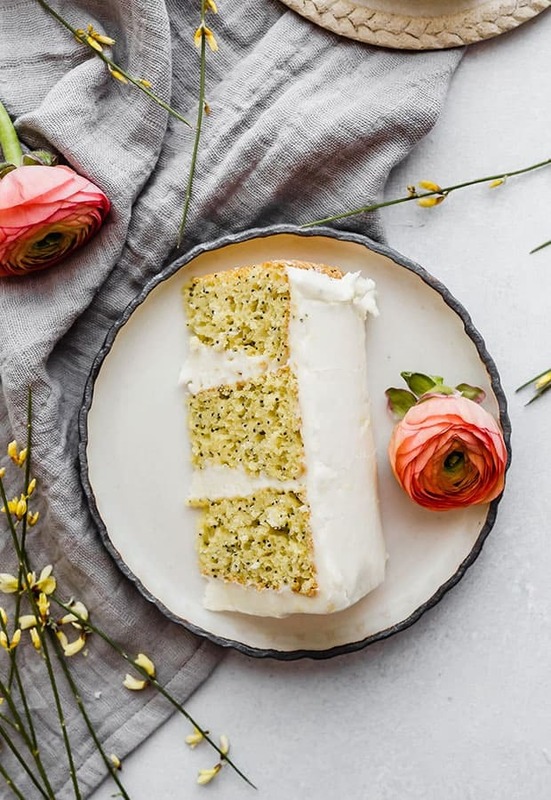 This Lemon Poppy Seed Cake from Cake Mix is fluffy, tender, and moist! This easy cake recipe is frosted with a silky smooth lemon infused vanilla buttercream that pairs perfectly with the lemon cake! Truth be told, this cake was devoured within 24 hours of making it. That NEVER happens in our house. We like to savor our desserts so they’ll last several days. Not with this one! We inhaled this moist lemon cake recipe! I’ve been making cakes from scratch for awhile now; a few that have shown up recently are my easy spice cake recipe, the best chocolate cake, and Funfetti Cake. While baking from scratch is fun and all, sometimes you can get good or even better results by doctoring up a cake mix. And that’s what I did here. 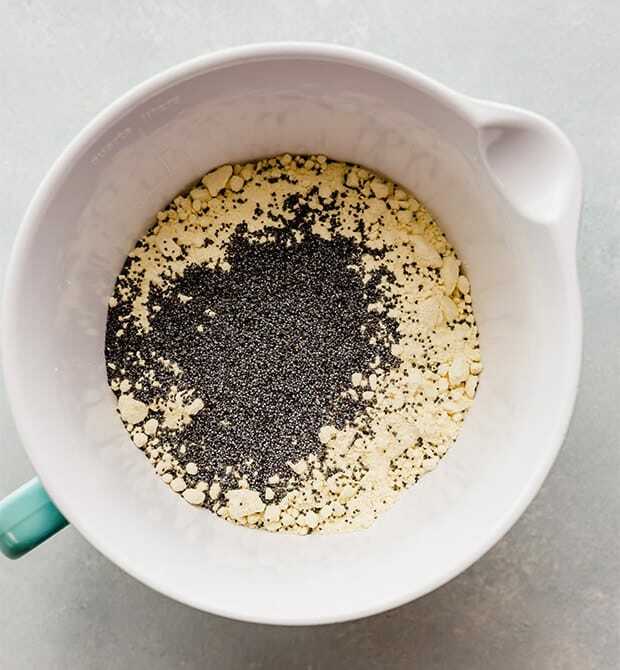 Whisk the poppy seeds into the cake mix. Doing this will allow the poppy seeds to be evenly dispersed. Zest 2-3 lemons. For added lemon flavor we use fresh lemon zest in this cake recipe. Which, you’ll be so glad we did! 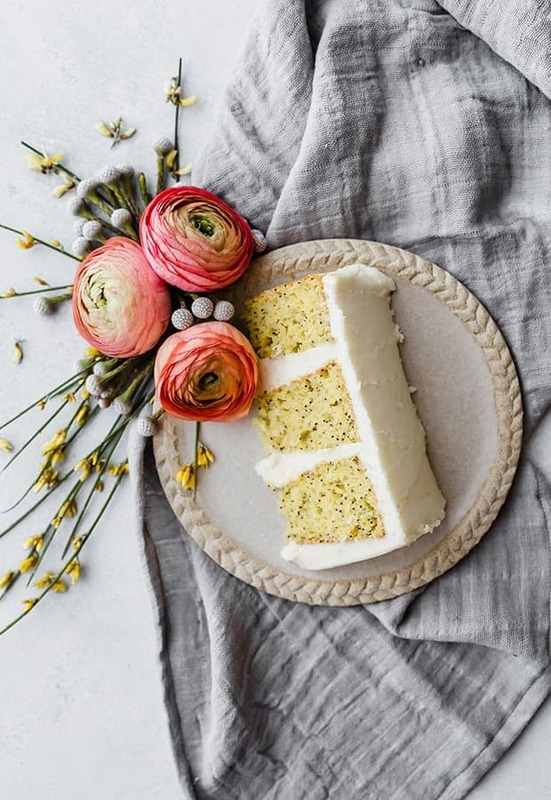 This lemon cake seriously has the most beautiful lemon flavor! Combine all of the wet ingredients. Use a whisk and mix until evenly combined. Alternatively, you can use a stand mixer fitted with a paddle attachment and mix until thoroughly combined. Stir the dry ingredients into the wet ingredients. Again, you can use your stand mixer or you can use a rubber spatula and stir the dry ingredients into the wet ingredients. Either way will do. Bakers Tip: Remember with cakes you do not want to over mix the batter. Over mixing cake batter is one cause of cakes sinking in the oven. Once the cake batter is made, divide the batter evenly amongst the 3 – 6 inch round cake pans. You can make this in 2 – 8 inch round cake pans if you’d like. The bake time will be different (only 25-27 minutes). 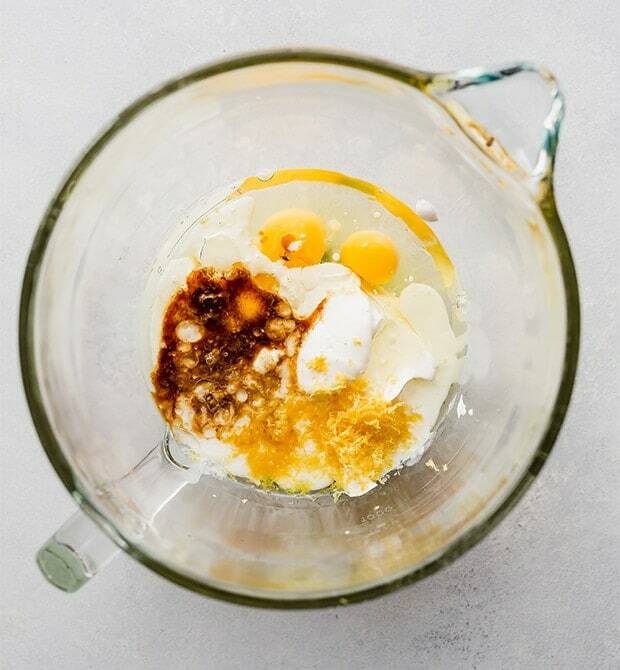 Tip: Use a kitchen scale to ensure even amounts of batter are in each pan. I like to use a small offset spatula to even the batter along the top. The oven should be preheated to 325°F and your oven rack should be placed on the middle rack, or the rack above the middle slot. Bake the lemon cakes for 31-34 minutes. Every oven is different, so keep an eye on it. To test for a cake’s doneness insert a toothpick into the center of the cake, if the toothpick comes out clean, the cake is done. You can also touch the top of the cake and it should spring back slightly. What’s a cake without frosting?! This lemon cake is adorned with the most delicious lemon infused vanilla buttercream frosting. To make the frosting begin by beating the butter until it’s light and fluffy. Once fluffy beat in the powdered sugar, lemon zest, vanilla, and heavy cream (or milk). Tip: if the frosting is too thick, add more heavy cream or milk. If the frostings consistency is too thin, add more powdered sugar. Believe it or not, climate plays a big role in baking so keep that in mind. If you aren’t fond of frosting, no worries! I understand. 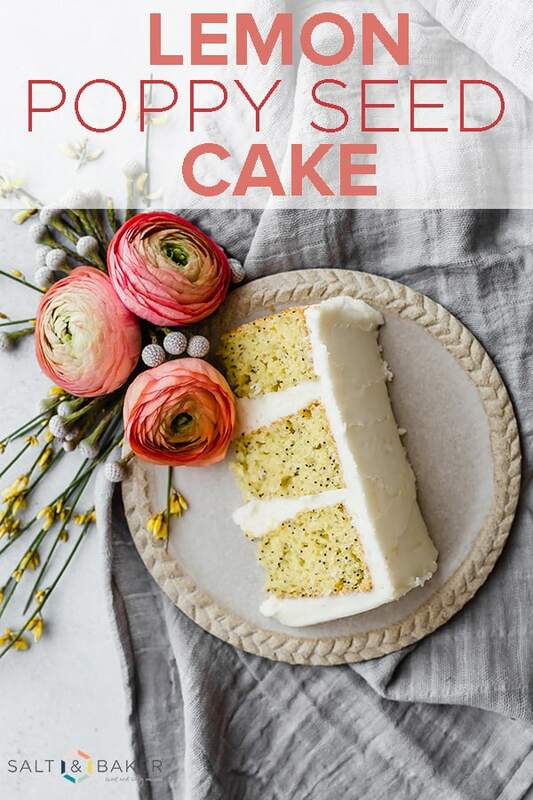 To make this a naked lemon cake, half the frosting recipe. When frosting the cake, rather than having a thick layer of frosting between each cake layer, do a smaller amount. Then do a thin crumb coat on the exterior of the cake. Craving more? 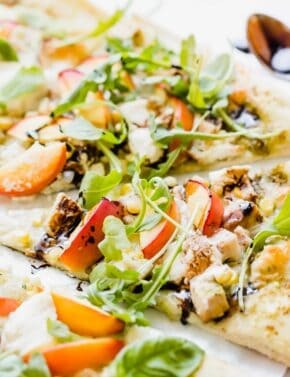 SUBSCRIBE TO SALT & BAKER’S NEWSLETTER to get new recipes delivered straight to your inbox! 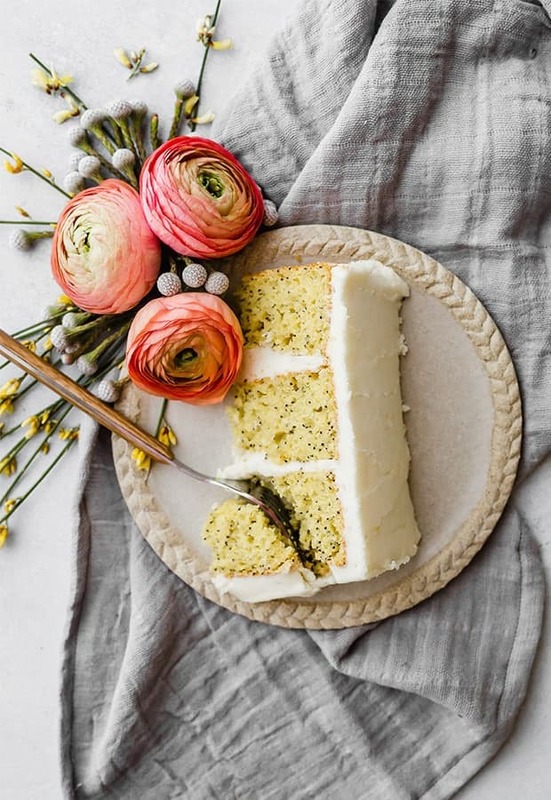 A moist lemon poppy seed layer cake. This cake is perfect for brunch, parties, birthdays, or just weeknight eating. It's easy to make and practically foolproof! Preheat to 325. Grease and flour 3 – 6 inch round cake pans. Set aside. 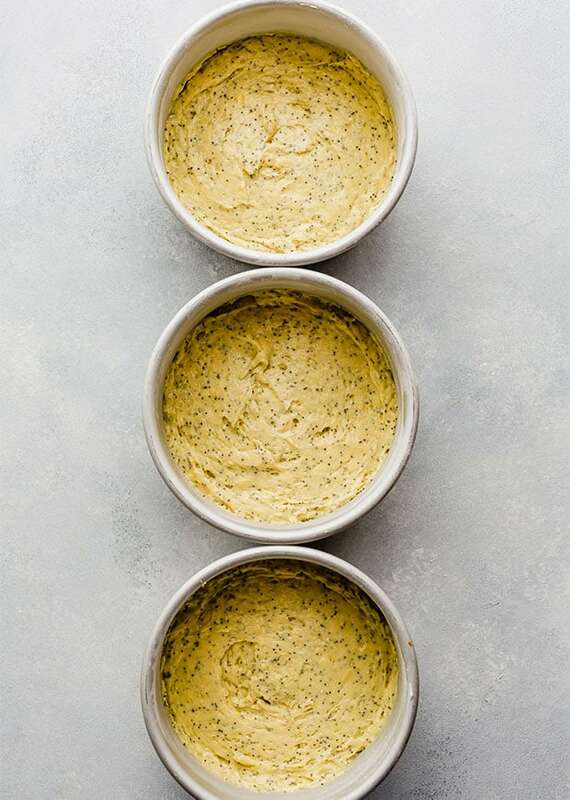 In a medium size bowl whisk the cake mix and the poppy seeds. Set aside. Add the cake mix to the wet ingredients. Using a spatula, mix the cake mix until combined. Don’t over mix! Alternatively, you can use a stand mixer (like I did). See recipe notes for details. Divide the cake batter evenly amongst the cake pans. 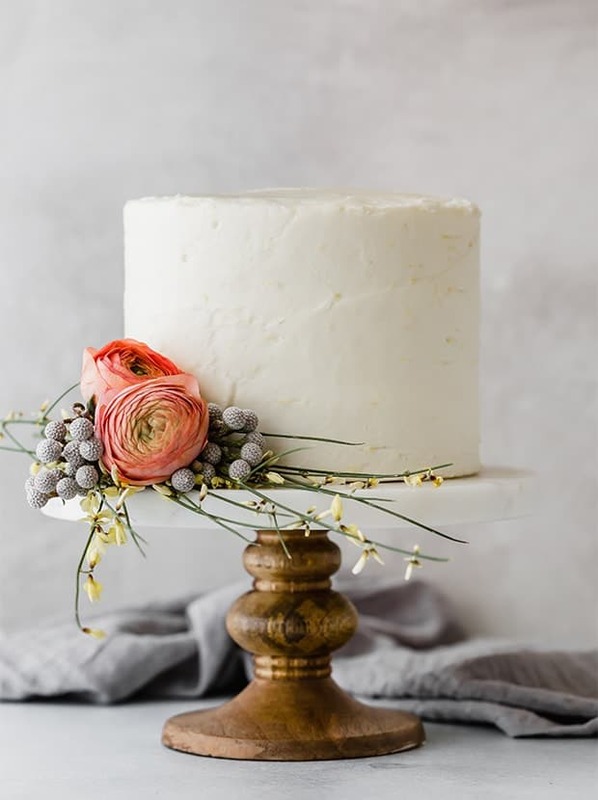 Bake for 31-34 minutes or until a toothpick inserted in the center comes out clean; and when the top of the cake is touched it and gently springs back. Mine baked for 33 minutes. All ovens are different, so keep an eye on yours. Cool on a wire rack in the pans for 5-10 minutes, then remove the cakes from the pans and allow to cool completely. Once cool, frost the cakes. Or, you can double wrap the cakes individually in plastic wrap and refrigerate or freeze. Cream butter until smooth. Add powdered sugar, vanilla extract, and heavy cream (or milk) one tablespoon at a time. Once reached your desired consistency, whip on medium high speed for 1-2 minutes. *You can also use a stand mixer for this recipe if you'd like. Rather than whisking the wet ingredients, use the paddle attachment and mix until evenly combined. Then add the cake mix and poppy seeds to the wet ingredients and mix on low speed until just combined! Don't over mix. 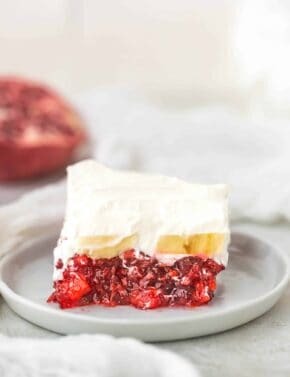 You can bake this in 2 - 8 inch round cake pans. Bake for 25-27 minutes or until a toothpick inserted in the center comes out clean.